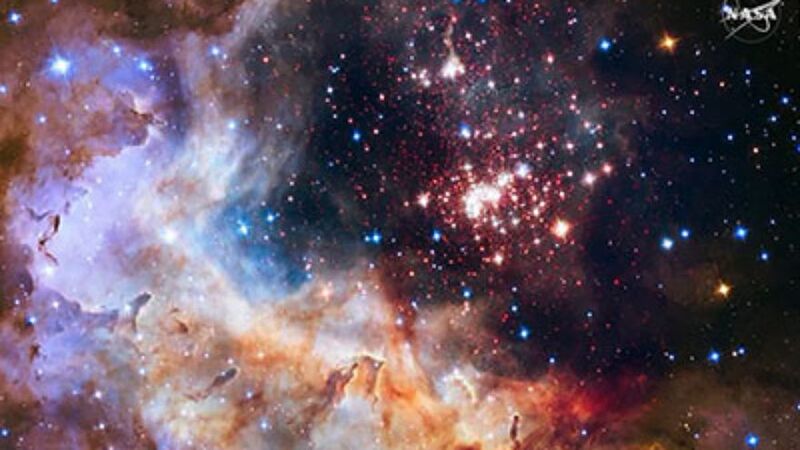 The Hubble Space Telescope has celebrated its 25th birthday by issuing a spectacular picture. The picture features a spectacular vista of young stars blazing across a dense cloud of gas and dust. The “Westerlund 2” cluster of stars is located about 20,000 light-years away in the constellation Carina. Hubble was launched on Space Shuttle Discovery on April 24, 1990. Engineers expect the observatory to keep operating for at least another five years.